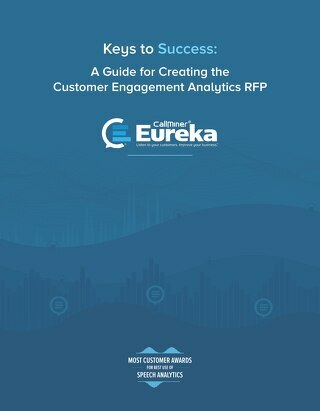 We'd like to learn a bit more about you before downloading this eBook. 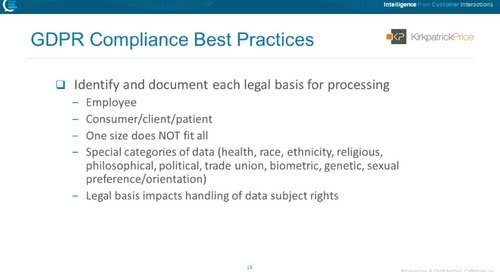 One of the greatest challenges in debt collection and recovery lies in ensuring that all your contact centre agents comply with legislation such as: the Consumer Credit Act (CCA), the Consumer Rights Act (CRA) and the Data Protection Act. 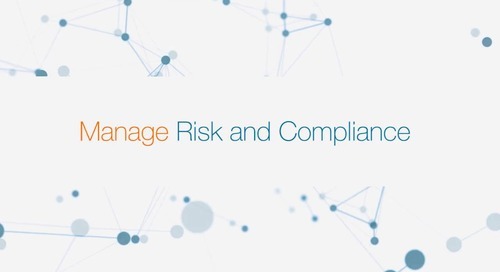 Bodies like the Financial Conduct Authority (FCA) and the Information Commissioner’s Office are there to make sure that firms comply with this legislation and that consumer interests are protected.  Other bodies such as the Credit Services Association (CSA) have a Code of Practice for members to follow. 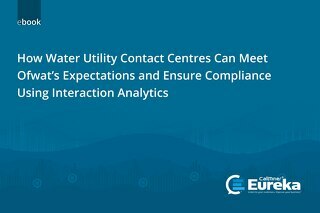 At the heart of all these regulations and guidelines is the concept of Treating Customer Fairly (TCF). For some organisations this will also include making sure that agents identify vulnerable customers and treat them accordingly. 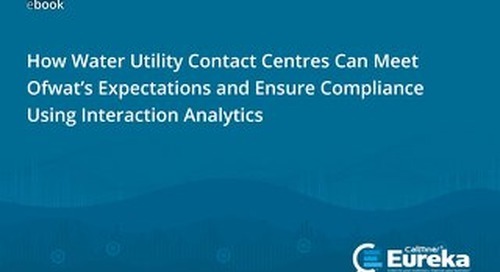 This eBook addresses how Interaction Analytics can help you mitigate compliance risk in your contact centre. 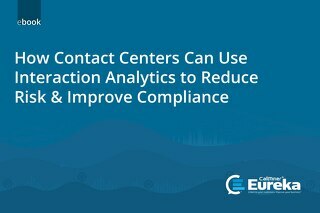 Learn how Frontline Asset Strategies used speech analytics to monitor 100% of call center conversations and improve compliance scores within six months. 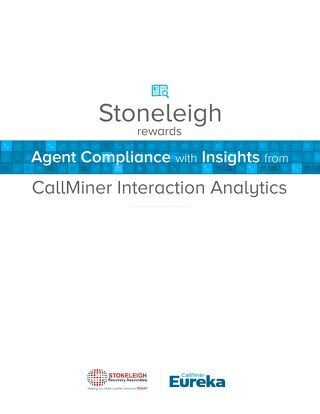 Learn how CallMiner speech analytics drives dramatic contact center improvements and reinforces corporate values and messaging for Americollect. 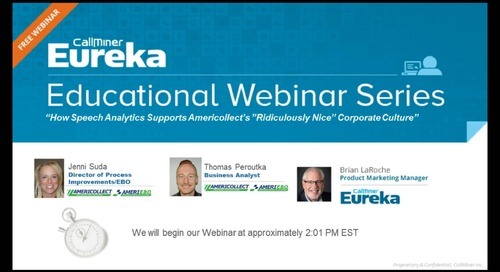 Learn how a collections agency enhanced its technology platform with next-generation automated interaction analytics, which have produced results that satisfied its top customer. 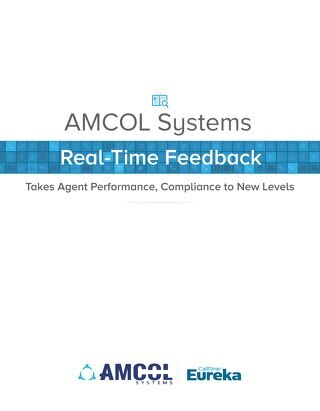 Learn how AMCOL Systems improved their contact center analytics program with real-time agent feedback for improved agent performance and compliance. 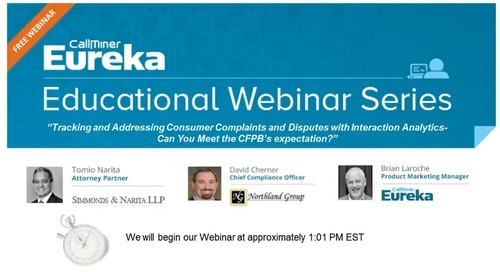 Review the impact of consumer complaints, it’s relevance to CFPB compliance and how interaction analytics can support improved tracking and higher compliance behavior in your agent community. 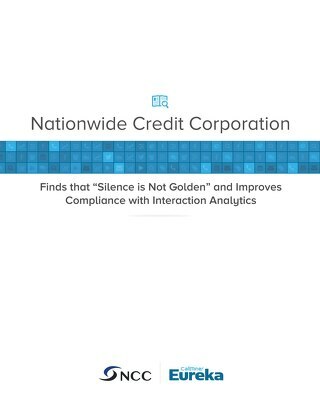 Learn how speech analytics helped Nationwide Credit Corp reduce excessive silence, escalation language, legal action mentions, and FDCPA violation language.